When last Twin Forks performed in Nashville, they were joined on stage by a surprise guest: Augustana frontman (and, apparently, current sole member) Dan Layus. It seems only fitting, then, that the two groups would return together. When we first announced this show, it was scheduled for Mercy Lounge TOMORROW night, April 18, but has since been subject to a venue shuffle, upgrading to the more sizable Cannery Ballroom. In any space, however, this is one weekend outing that warrants special attention and, for just $15, it’s Friday’s best bargain. After the jump, find out more about the roots rock and folk pop sounds you can expect to hear! Since exploding onto the scene with smash single “Boston” nearly a decade ago, indie/pop/roots rockers Augustana have quietly become one of the most varied, dynamic, and hardworking bands around. Following the departure of all of the group’s core members save for singer-songwriter Dan Layus in 2011, Augustana have definitively entered a new chapter of being, which will kick off with forthcoming album Life Imitating Life, set for release April 22 through new label home Washington Square/Razor & Tie. Formed in Southern California but now based here in Nashville, Augustana conjure deeply personal and heartfelt themes, coupled with poppy and accessible arrangements. If Life‘s first single, “Ash and Ember,” is any indication, the group’s fourth full-length is poised to be their most personal, cohesive, and polished effort to date. Show Layus some (new) hometown support, and be there to witness the beginning of of a whole new Augustana. Fronted by Dashboard Confessional’s Chris Carrabba (a band which previously toured with Augustana), folk pop group Twin Forks recently released their incredible self-titled, full-length debut. Rounded out by The Narrative’s Suzie Zeldin, Bad Book’s Ben Homola, and Jonathan Clark, the group, who only formed last year, have been touring relentlessly across the globe. Despite the fact that poppy folk bands are a dime a dozen these days, Twin Forks have managed to carve out a unique niche of their own. Their songwriting is top-notch, their command of composition and blend of influences shows off a deeper understanding of the musical tradition that informs the genre than most of their peers, and their pop sensibilities allow their songs to exist with an accessibility, yet maturity, that few other acts have managed. Twin Forks don’t sound like just another folk band, because they aren’t. They’re a band writing honest, genuine, folk-informed songs on their own terms, and they’re damn good at. 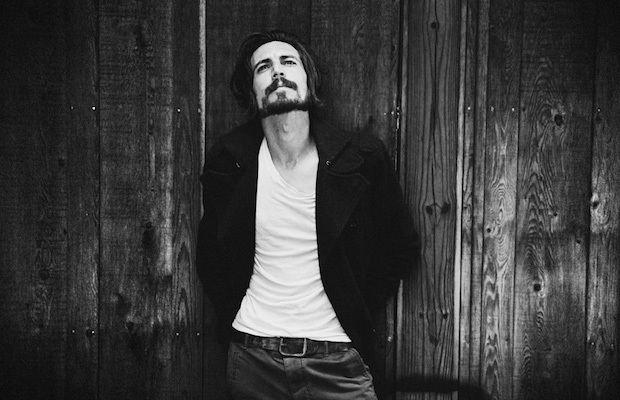 Augustana and Twin Forks will perform tomorrow, April 18, at the Cannery Ballroom. The show is 18+, begins at 9 p.m. (doors at 8 p.m.), and tickets are available for $15 in advance and $18 the day of the show.